The world famous Las Vegas ventriloquist, impressionist, comedian, singer and entertainer TERRY FATOR appears at the Historic Hawaii Theatre for ONE night only in November. 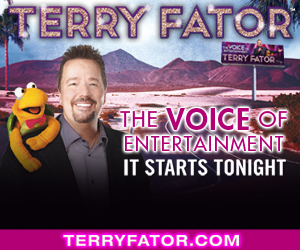 Terry Fator burst onto the national scene after winning “America’s Got Talent” in 2007. A native of Texas, Terry spent over 20 years on the road performing in every type of venue, from schools to county fairs, before becoming a Vegas headliner. Fator got his start touring as the lead singer of a band called “Freedom Jam” in 1987-88, produced by Young American Showcase. In mid-1988, he was the lead singer of a show band called ‘Texas the Band” where he first began incorporating a puppet into his shows. He went on to a solo career combining comedy and ventriloquism but for many years struggled with little success. It was only when he combined his singing talent- giving impressions of the likes of Garth Brooks, Etta James, James Taylor and Dean Martin, to name a few- and ventriloquism, that his career took off. He subsequently became the opening act for established performers such as Reba McEntire, Garth Brooks, Neal McCoy, and Styx. Fator entered America’s Got Talent competition with his new act, and though he had little expectation of winning, went on to secure the top prize. His success on the nationally televised competition in 2007 resulted in headlining his own act at The Mirage in Las Vegas one year later. The rest, as they say, is history.